University of Maine men's basketball standout Andrew Rogers has been selected to the prestigious University of Maine Senior Skulls honor society. Rogers, from Philadelphia, Pa., just completed his junior year for the Black Bears. He is a two-time America East All-Academic Team election, three-time Maine Scholar-Athlete award winner and three-time member of the America East Commissioner's Honor Roll. On the court, he played in all 30 games last season and ranked second on the team and 10th in America East with 2.4 assists per game. 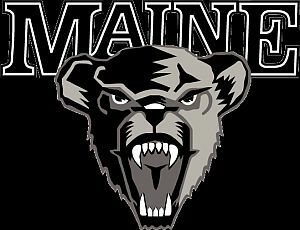 The Black Bears have had a player on the America East All-Academic for four-straight years and last season had six Maine Scholar-Athlete Award winners. In existence since 1914, the Senior Skulls were founded torecognize senior male students at UMaine who exhibit strong moral character, outstanding school spirit, leadership, strong academic achievement,and ability to serve as role model for underclassmen. Twelve men, chosen each spring, represent the top 1% of senior men at the University and are true leaders on campus.